Ata Rangi, meaning "dawn sky" or "new beginning" is a small New Zealand winery with an enviable international reputation for PInot Noir. Located at the southern end of the North Island, it is owned and managed by a family trio - Clive Paton, wife Phyll and Clive's sister Ali. Clive planted the first vines on a small, stony sheep paddock at the edge of the Martinborough village in 1980 as one of a handful of people who pioneered winegrowing in the area. Ata Rangi Pinot Noir is undoubtedly the flagship wine, and in 2010 was honoured with the inaugural Tipuranga Teitei o Aotearoa or "Grand Cru of New Zealand". Phyll recalls: Ata Rangi was a small, stony sheep paddock when Clive bought it with a wad of cash from the sale of his herd of cows back in 1980. His farming mates thought he was mad; grapes were unheard of in the region. But Clive knew what he was in for. "I'd regularly skin my knees playing rugby there, so I knew exactly how stony the ground was." He'd developed a passion for red wine but couldn't afford 'the good stuff' so, in classic Kiwi-style, thought he'd have a go himself. Ali, Clive's sister, shared his vision and soon bought 5 acres next door before heading off shore to study and work in the London wine trade. The early days were tough. With no trees for shelter, young vines struggled against the howling nor-westers. Clive relied on the sale of pumpkins and garlic that he'd grown between the rows, and on family and friends who pitched in to help. He was also a solo Dad, raising young daughter Ness. Local farmer and mate of Clive's, John Stephen, put up cash to form an early partnership, keeping Ata Rangi afloat until the vines came into production. They also enlisted 100 'barrel share' investors, each of whom stumped up $50 (in a primitive en-primeur scheme) to fund the first barrels. By the time I ran into Clive in 1986 he'd just won his first Gold Medal, no small thanks to the legendary 'gumboot clone' of Pinot Noir. "Trust me" he said back then"Within ten years we'll be able to walk into the village and choose which cafe we'd like to go to." Though not entirely convinced, I threw in my Marlborough wine-making job and, in a leap of faith, bought John's share and moved north to join the family. More than three decades later - backed by a string of awards and accolades - Ata Rangi is well established in 25 international markets and has an enviable reputation as one of the New World's most respected Pinot Noir producers. And Clive was right... Martinborough has transformed from a rural backwater to a laid-back, charmingly rustic wine village with a cluster of cafes, restaurants, quirky boutiques and a day-spa; a popular destination for wine-and-food lovers from all over the world, and a great escape from bustling city life. Soil health is our big focus. We're now certaified to fully organic status, after several years of transition. Weeds are now kept under control by a Berti Ecology under-vineweeder which means herbicides are a thing of the past. 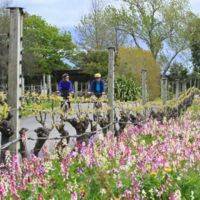 Insecticides have never been used in the 30+ years of vineyard management at Ata Rangi, instead favouring biological options such as predatory wasps for leaf roller caterpillar control. Large scale compost is made on site from winery 'waste' - grape stalks, skins, pips and yeast lees. Biodiversity, vital in maintaining balanced insect and bird populations, is encouraged with the use of mixed native shelter-belts and inter-row wildflower planting. Ata Rangi harvests fruit from around 120 acres. Almost half of these vineyards are company owned; the rest are leased and local contract grower blocks. Sites are all very close together, and feature the characteristic Martinborough Terrace profile of about 30cm of shallow silt-loam on top of 25 metre-deep alluvial gravels. Rainfall is low here; an average of 700mm per year. With Martinborough's dry climate, high winds and free-draining profile, disease pressure is very low. Huge effort goes into achieving balanced vines to consistently deliver ripe, well balanced fruit. Hand leaf plucking during summer ensures open canopies, and all grapes are hand-picked. Spring is often cool and windy which takes its toll on fruit set, so yields are naturally low - 1 T/acre to 2.5 T/acre tops for Pinot Noir (average 4 T/ha). The original vines are now well over 30 years of age, a factor in the wines ascending quality and consistency from year to year, as is the hands-on emphasis in the vineyard. For Pinot Noir, clones planted are Abel (the legendary Gumboot clone), Dijon 667, 777, 114 and 115, Pomard (aka Clone 5) and a smaller amount of 10/5. Most plants are on rootstock - typically 3309 or 101/14. 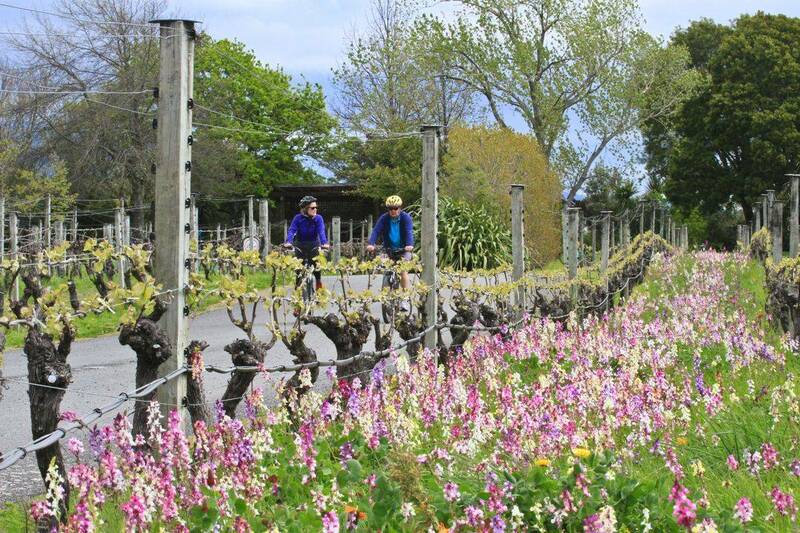 Ata Rangi is one of only a handful of ISO 14001 certified wineries in the world. This management standard, achieved over 15 years ago, calls for continual commitment to improve on practises which impact on the environment. We measure water, fuel and energy use, and challenge ourselves to find ways to reduce dependence on these resources. The vineyard and winery are also founding members of SWNZ (Sustainable Winegrowing of New Zealand) - a voluntary, industry-wide initiative developed to provide a 'best practice' model of environmental practices in both vineyard and winery. Our Cellar Door operates year round – only closed on Christmas Day, Boxing Day, Good Friday and, this year, 8 December. It’s a small and intimate venue – actually our rustic, original winery from when we were starting out. It’s lovely and cosy, but not particularly suited to large groups, especially over the summer. If you happen to turn up with a group larger than six, please forgive us if we cannot accommodate you, or suggest you come back at a less busy time. However, if we can fit you in, we’d love to. Please get in contact in advance via cellardoor@atarangi.co.nz to discuss an appointment. There is a $5 service charge per visitor, which will give you the personal service of one of our friendly and knowledgeable team in explaining our wines, our history and our region. For larger groups up to 20, we may be able to structure a private tutored tasting outside of regular Cellar Door hours. Please contact us about it. 2013 impressed as the vintage of the decade. Warm summer temperatures, peaking at 28°C, lay the foundation, followed by cool nights through the long drawn-out autumn. This has resulted in a season where the Merlot, Cabernet and Syrah have all delivered on their true classic varietal expression; the low natural yields of these varieties allowing for harvesting at perfect ripeness before late autumn rains. The heady, perfumed aromas of star anise, red plums, with notes of woodsey cinnamon and dried herb, are exotic and beguiling. The entry is dense, then finely textured in the mid-palate, with a long mineral quality. A concentration of fruit wraps itself around the tannins, leading to an exhilarating finish. An exceptional season has delivered a compelling, age-worthy wine of wonderful tension – a fitting result for release in Ata Rangi's 35th year of work on the land. From the outstanding 2013 season, this very limited, one-off release is the epitome of cool climate Syrah. 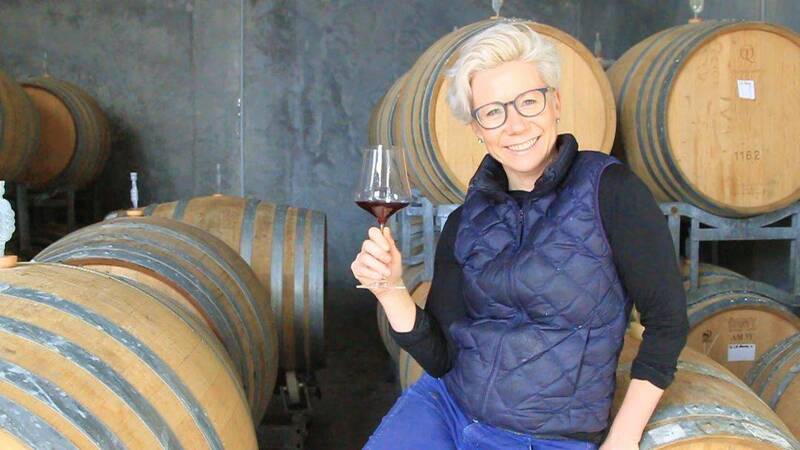 It was harvested from a small, single block of the sheltered Kahu Vineyard located on the terrace gravels just 300 metres from the Ata Rangi home block. This deep ruby coloured beauty offers lifted florals followed by freshly-picked red fruit aromas; blackberries straight off the cane. Exotic notes of spice - star-anise and peppery bay-leaf - and a deep, earthy quality complement and balance the primary fruit characters. The texture is almost pinot-like in its precision, poise and silky elegance, and the fine tannins tight and bright. This special release is a fitting tribute to Juliet, a much loved friend and neighbour. Her family, who own the block, pitched in to help hand-pick the grapes and man the sorting table. Vibrant and succulent now, we expect that cellaring for another five to ten years in cool conditions will see this wine evolve into a more savoury expression of Syrah. in both vineyard and winery. his contribution to both conservation and viticulture in NZ and in 2014 was awarded the historic Gerald Loder Cup, this country's highest conservation honour. Craighall. our premium Chardonnay, is from prized blocks of 30 year-plus Mendoza-clone vines which, in spite of their wiry stature, consistently deliver top quality bunches of tiny 'hen and chicken' grapes. The vineyard lies directly opposite the Ata Rangi home block, sharing the same deep, free-draining gravels that fringe the edge of the village. Low annual rainfall, high wind-run and the lean, stony profile all add up to an extremely devigorating, low-yielding site. The resulting wine has remarkable concentration, drive and weight. A bright stone-fruit and citrus blossom bouquet, along with a sleek, flinty minerality are the key features of this cohesive and finely crafted 2013 vintage. Barrel fermented with indigenous yeasts, these primary fruit and floral characters are offset by more savoury, bran biscuit-like fermentation characters on the palate. This beautifully balanced wine will cellar comfortably for at least 6 years. Complex aromas of wet stone and flint meld with notes evocative of pear and almond tart. The palate is long and driven; the acidity coiled around complex fruit characters of melon, roasted fennel and grapefruit. The Petrie Vineyard is really coming into its own as the vines age, and is producing a wine that we're immensely proud of. Owned by the Petrie family, the 22 year-old block is 20 minutes' drive north-east of Martinborough on the deep, gravelled, uplifted river terraces of East Taratahi. The vineyard itself is generally a bit cooler than our own blocks due to its higher elevation. Vineyard perspective and wind exposure are also factors in cooling this site, making it ideal for the Clone 15 plantings and expressed in the typically bright fruit and marked thread of minerality that Petrie Chardonnay is renowned for. Another lovely vintage following 2013, this offering shows that classis 'gris' pear-and-almond-tart character, along with ripe nectarine, a hint of kaffir lime leaf and a touch of pithy grapefruit. The palate is rich and powerful, with a minerally texture and a long, intense finish. With just 6g/l residual sugar, it is a delicious stand-alone aperitif, and also perfect with Thai and other Asian influenced food. 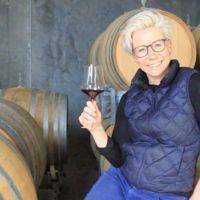 Our hard-working friends Ro & Lyle Griffiths own and meticulously manage the beautiful Lismore Vineyard nearby, and are totally committed to delivering the finest fruit possible, year after year. Naturally low Martinborough yields, small canopies, old vines and hand-picking are all factors in producing our unique style of bone-dry but weighty Sauvignon Blanc. Four different ferment techniques were used this year to ensure richness, complexity and length. The first, in tank, resulted in a very pure, steely component with spicy/floral and fleshy white fruit notes and just a hint of fennel bulb to balance the plush fruit. The next 20% - unsettled juice straight from the press - was barrel fermented in neutral barrels by indigenous yeasts and left on lees to enhance texture and body. A further 25% went through malo-lactic fermentation to soften out the wine. Intriguingly, the final 600 litres was fermented in contact with the ripe sauvignon skins for almost a month in a large barrel with a stainless lid wide enough to gently submerge the berries during ferment. This last portion has real zing and lovely florals on the nose. Blended together, we're confident we've hand-crafted an outstanding 2014 Sauvignon Blanc. This pretty, beautifully balanced dry-style 2014 Summer Rosé is made largely from Merlot, with a splash each of Pinot Noir and Syrah for interest and complexity. Fresh, vine-picked raspberry aromas tangle with hints of cranberry and rose-petal, these notes running on across the long, tight palate. The fruit is crushed and left in tank overnight before draining the juice from the skins and cool-fermentation in tank. This versatile, dry-style wine is the perfect drop for long summer afternoons on the verandah, or enjoying year-round with any lighter style, summery food. Serve well chilled. Kahu, Maori for our native harrier hawk, inspired the name for Gerald and Juliet Hensley's neighbouring vineyard and the luscious dessert wine grown there. This Riesling block is harvested late in the season when morning dews are heavy, encouraging the spread of botrytis. The shrivelled, raisin-like fruit is typically picked in three or four separate passes over about three weeks. The crew also gather any fallen, fragile berries and bunches from the straw laid beneath the vines. Kahu 2014 is as irresistible as ever, with pronounced apricot and pear aromas; these flavours enriched by a hint of juicy mandarin. The style is rich and skilfully balanced. This golden drop is an excellent choice to go with a rich dessert or a range of after dinner cheeses. The classic combo of blue, a few nuts and a slice of fresh, creamy pear makes a memorable conclusion to dinner with friends! Serve chilled. 375 ml bottles. This second release of old-vines, dry Riesling shows just how the variety can and does flourish with bottle age. From old, deep-rooted, low-yielding vines on our prized Craighall block, the pressed, unsettled juice was fermented naturally with indigenous yeasts to dryness. This classic beauty is crisp and driven, with a full fruit entry that flares out on the finish. Citrus and lime notes are finely laced with hints of creamy, nutty nougat (think almonds, pistachios). There's a whiff of salty sea breeze, a very pure, tight mineral run across the palate and just the beginning of that trademark Riesling honeyed development. Complex and very complete after 4 years in the bottle, we expect to still be savouring this wine a decade from now. Just 80 cases produced. Syrah is grown at Ata Rangi primarily as a blend component for our distinctive Célèbre, although in the best and warmest seasons we like to squirrel away just a few barrels to be bottled as a single varietal. The vines are close-planted on only our warmest and most sheltered sites. Swathes of reflective cloth, sun-heated river stones and glass bottles roughly smashed in Clive's old concrete mixer are used under vines to further boost heat and light. This limited volume Syrah 2010 release is richly perfumed with ripe mulberry and damson plum aromas mingling with headier notes of rose, Turkish Delight, star-anise and tamarind. First sips unveil hints of darker, more savoury, spiced meat and pepper characters. This is a complex wine, still vibrant, succulent, long and fine. Delicious now, we expect it will also cellar well for another three to four years in cool conditions.